Welcome to Rockdale ISD! Rockdale ISD is steeped in pride and tradition with blue and gold seen throughout this community. Rockdale serves just shy of 1600 students at four campuses. With our commitment to students, we expect our graduates to leave Rockdale High prepared for their next step whether college or career. This journey begins as early as Pre K as each year builds upon the previous. We take our job to educate each and every student in RISD very seriously knowing that while we all come from different backgrounds, together we comprise the family known as the Rockdale Tigers. We are glad you have become part of our Rockdale ISD family. 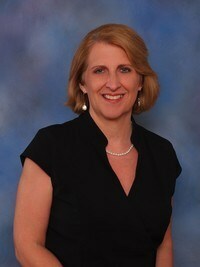 Dr. Denise Monzingo was named Superintendent of Schools for Rockdale ISD in May of 2014. Dr. Monzingo earned a bachelor’s degree from the University of Texas at Austin, a Masters of Education-Administration from Texas State University, and a doctorate from Texas A&M University in College Station. In 2017, Dr. Monzingo was named Superintendent of the Year for Region 6. With over 30 years in education, Dr. Monzingo has previously held positions in Pflugerville ISD as Executive Director of Accountability and Special Programs, Park Crest Middle School Principal, Dessau Elementary School Principal, Dessau Middle School Assistant Principal and as a teacher in 5th, 6th, 7th and 8th grades. Throughout her career, she has been recognized nationally as a National Model Middle School for Professional Learning Communities and in the State of Texas for her work with English Language Learners and increasing scores of students struggling in math. Dr. Monzingo also has received awards for Outstanding Principal by the Texas Association of Secondary School Principals, and Teacher of the Year for Region XIII. Dr. Monzingo has three daughters: one who graduated from University of Texas Medical Branch, and two that graduated from Texas A&M University. She also has one son who will graduate from Rockdale High School in 2019 and plans to attend Texas A&M University.